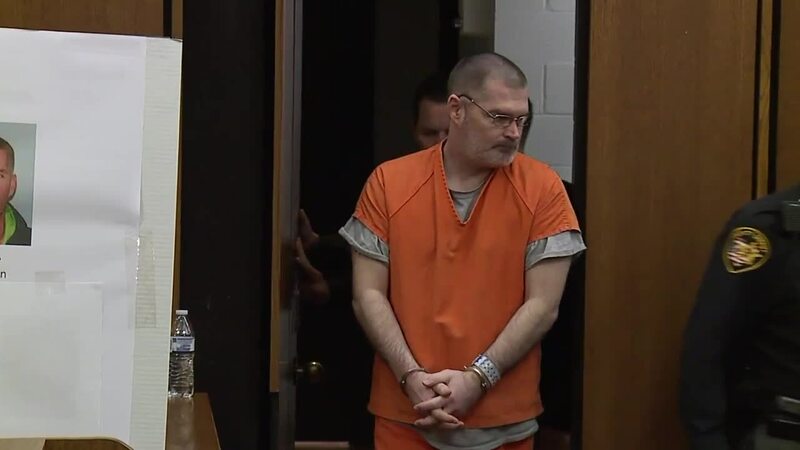 CLEVELAND — A panel consisting of three judges sentenced convicted killer George Brinkman to death on Friday for the slayings of three North Royalton women in 2017. A father just wants his kids back. He and his family confronted the man who killed three of their loved ones. 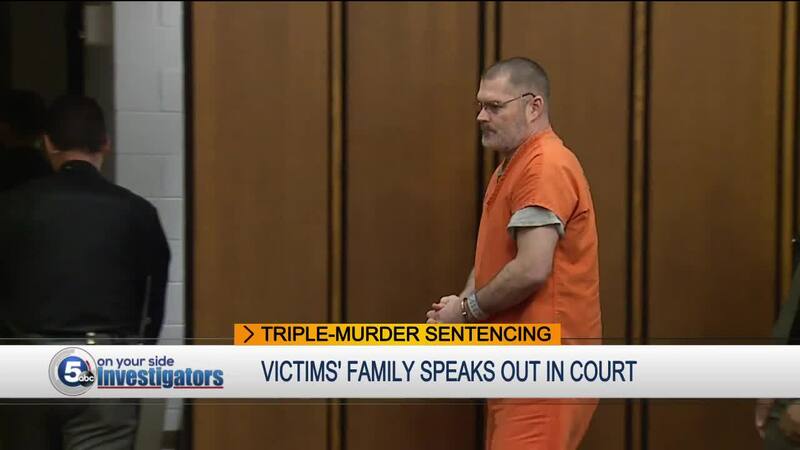 They were asking for the death penalty for George Brinkman, Jr. after the brutal murders. A lot of tears were shed in that Cuyahoga County courtroom this morning remembering the victims: 45 year-old Suzanne Taylor and her daughters 21 year-old Taylor Pifer and 18 year-old Kylie Pifer. You might remember police tracked down Brinkman to a home in Brunswick in mid-June and after a stand-off, got him in cuffs. Today a 3-judge panel heard victim-impact statements urging them to sentence Brinkman to death. The young womens' father Brian Pifer said Brinkman still has his rights, but he took away his loved ones’ rights. “Taylor's right to get married, to have children, to celebrate the holidays,” said Brian. “Her right to play another game of softball,” he continued with tears flowing. He also talked about Kylie’s rights. “The right to make her artwork and send to me in stages asking for my feedback,” Brian said with more tears on his face. Suzanne's mother Marcia Taylor also had a statement read aloud in court saying Brinkman tore her heart out. “I'll never, ever get over it,” the county victim’s advocate read from Marcia’s statement. Marcia described how she has severe depression now and gets professional help for her current state of mind. "If I didn't have my son Ken, there would be no reason to live." In the end, the judges decided Brinkman should get the death penalty and sentenced him to die January 15, 2020. Brinkman said in court he won't appeal that decision. He still hasn’t said why he killed the women. So, in the end did, Suzanne, Taylor, and Kylie's family get what they wanted? "I can't get what I want out of this. That's impossible,” said Brian. Nothing will bring back their loved ones. Keep in mind, Brinkman also faces murder charges in Stark County accused of killing Rogell John, II and Roberta John in Lake Township right around the same time as the triple-murder. George Brinkman entered a guilty plea on Friday, Nov. 9 after waiving a jury trial in favor of a bench trial before three judges. The judges heard evidence, including testimony from the step-father of the victims, a detective, and two FBI agents, as well as a confession video played in court. On June 10, 2017, Brinkman, now 46, took Suzanne Taylor and her two daughters, Taylor Pifer, 21, and Kylie Pifer, 18, hostage inside the mother's North Royalton home. Authorities say Brinkman, who had known the mother since elementary school, stabbed the woman in the head and cut her throat in front of her daughters. Afterwards, Brinkman used a pillow to smother the eldest daughter to death and a phone cord to strangle the younger daughter. Brinkman was arrested by North Royalton police on June 13, 2017 following a nine-hour standoff in Brunswick. The day after the North Royalton murders Brinkman drove to a Lake Township home in Stark County and allegedly killed Rogell and Roberta John. Brinkman was later indicted on aggravated murder charges in connection with the deaths of the Lake Township Couple, authorities said. A court date for the Stark County homicides has not been set.